Arrays are fixed in size. need to estimate the size of an array while declaration itself. once array created we can not increase the size of an array. Arrays can hold only homogeneous data elements. Means we can add same type of elements in an array. While declaring an array we need to mention the data type. By using Object array we can add heterogeneous elements to the array. There is no underlying data structure for arrays. Arrays are not recommended to use with respect to memory. Performance wise arrays are good to use. Java Collection framework added in J2SE 1.2 release. Collections are set of classes and interfaces. By using Collections we can store and manipulate objects easily. Collections can hold heterogeneous data elements. Collections are no fixed in size and dynamically increase in size. Collection of objects. No primitives. All collection classes having underlying data structure. Collections are good with respect to memory. Bad with respect to performance. java.util package contains all collections classes and interfaces. Lets see collection interface hierarchy. under Collection. Set , List , Queue are the sub interfaces. Let us see all the abstract classes implementing all the above interfaces and classes which extending these abstract classes. 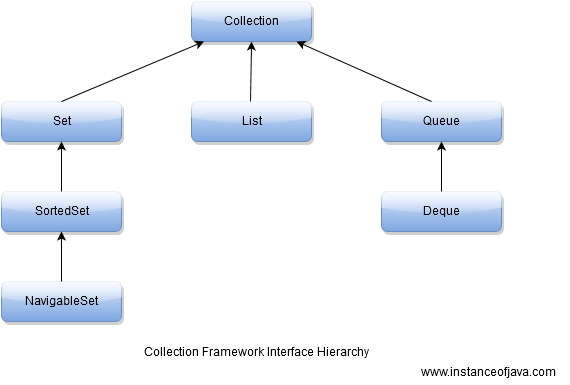 To Collect Objects in array format we choose Collection hierarchy classes. Main abstract class is AbstractCollection. To collect unique and duplicate elements in indexed order we choose List implemented classes. To retrieve elements in FIFO manner we choose Queue implemented classes. 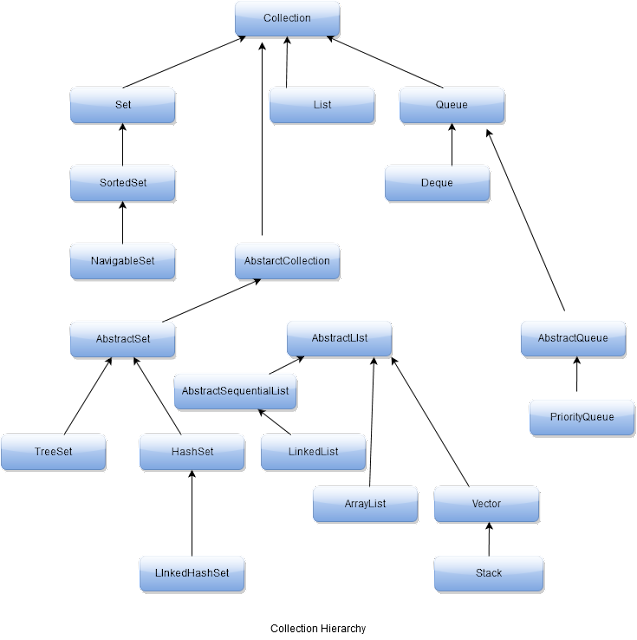 In this hierarchy Hashtable and properties classes are avilable since java 1.0. 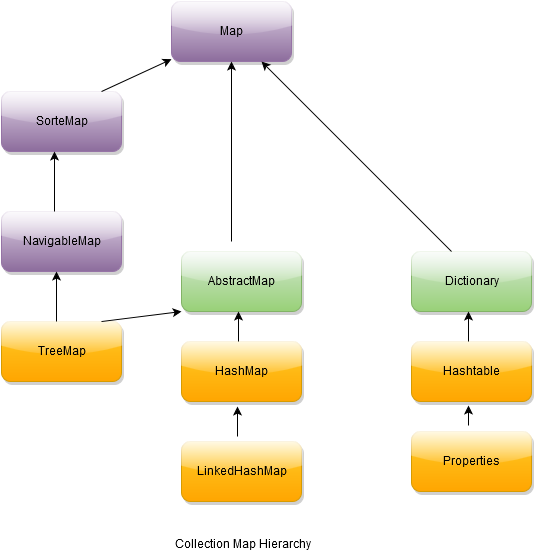 NavigableMap is available since java 6 and all other classes available since java 1.2. SortedMap and NavigableMap are two main interfaces. To collect objects in key, value pair format we choose Map hierarchy classes.